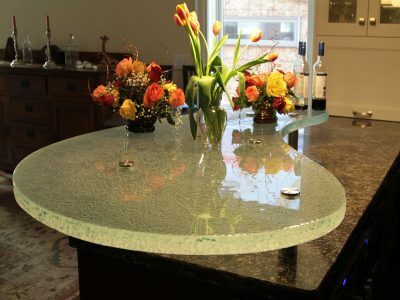 A raised glass bar is the best option for people that want to add something little extra to their already existing countertop, or just want to add more sitting room in their kitchen. 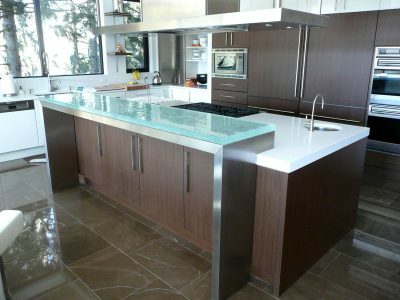 If you already remodeled your kitchen, or like it just the way it is, but you want to add more character to it, or create more room, or simply want to add a bar to your countertop – this will be a wonderful option for your project. 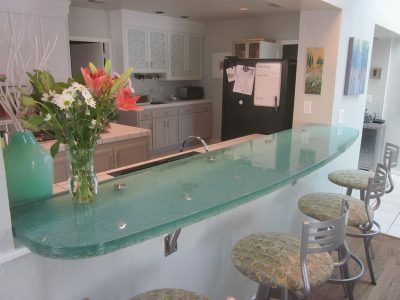 Glass raised bar has all of the option that our other glass countertops have. 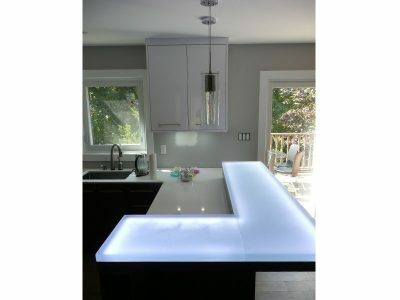 You can chose your thickness, color of the glass, texture, edge finishes, etc. 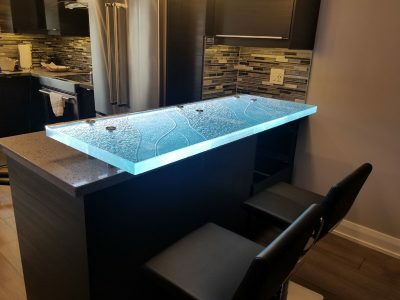 As you can see in our pictures, there are several ways that we can attach a raised glass bar to your already existing countertop. 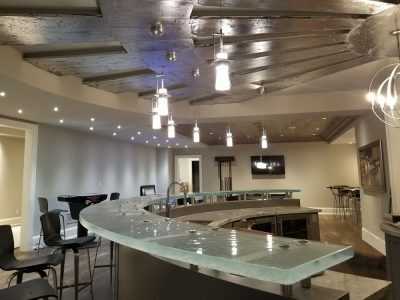 Depending on what you are looking for, you can either use standoffs, angled brackets, substrate, or put one side of the bar onto your countertop, while having a leg for support on the other. Take a look through our pictures, decide what you like, and we can help you with the final touches. A raised bar is a great way to create more sitting room without having to remodel your whole kitchen. It can also create a unique focal point in your kitchen, add uniqueness, and give the room a new look without the actual make over. 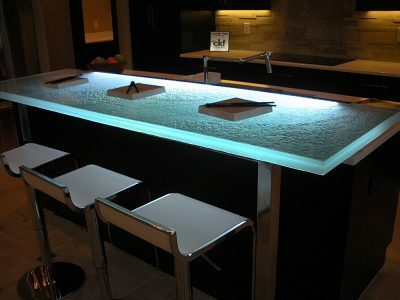 Just by adding a glass raised bar, you can freshen up your kitchen, add more style and uniqueness to it, renovate your home without replacing what is already there. 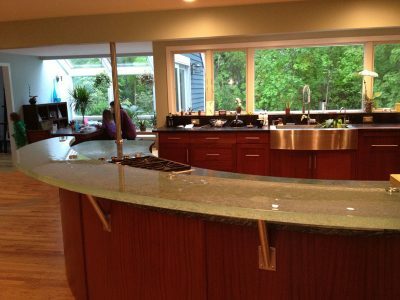 Another great benefit to using glass for your raised bar is the cleaning aspect. It is tough enough to take on many household cleaners but at the same time it is a non-porous surface which ensures that spills or stains do not stick to the surface.